Two holidays for the price of one! This year Mid-Autumn Festival and China’s National Week were all rolled together for one giant holiday. No complaints from me! My dad was able to get me a free frequent flier ticket from Kunming to Bangkok for a week of R&R with the ‘rents. 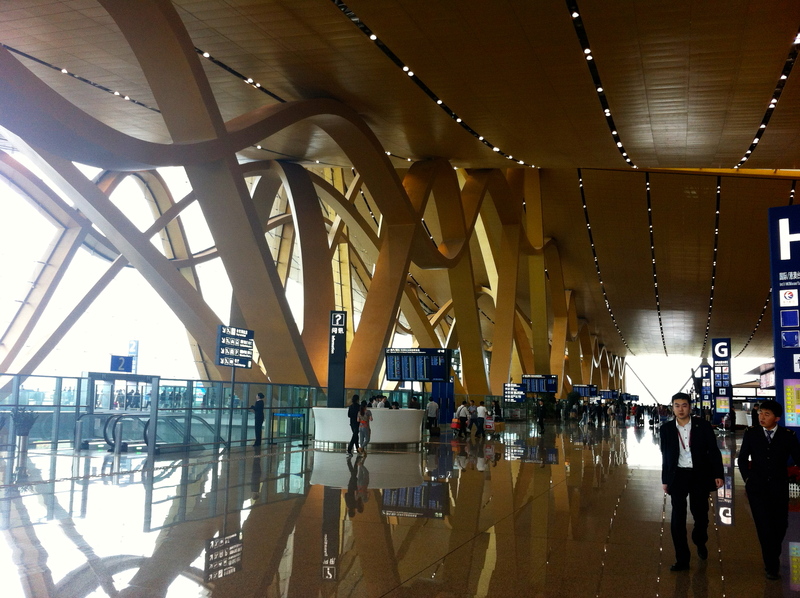 I flew out of Kunming’s swanky new airport! Love the architecture– and there’s so much space. It doesn’t feel crowded at all! 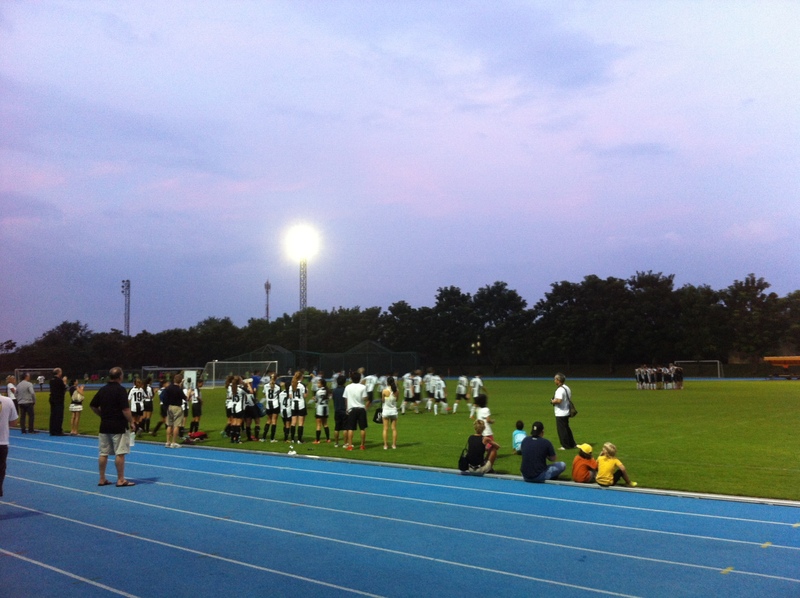 Friday Night Lights– ISB style. Boys soccer just finished their game. 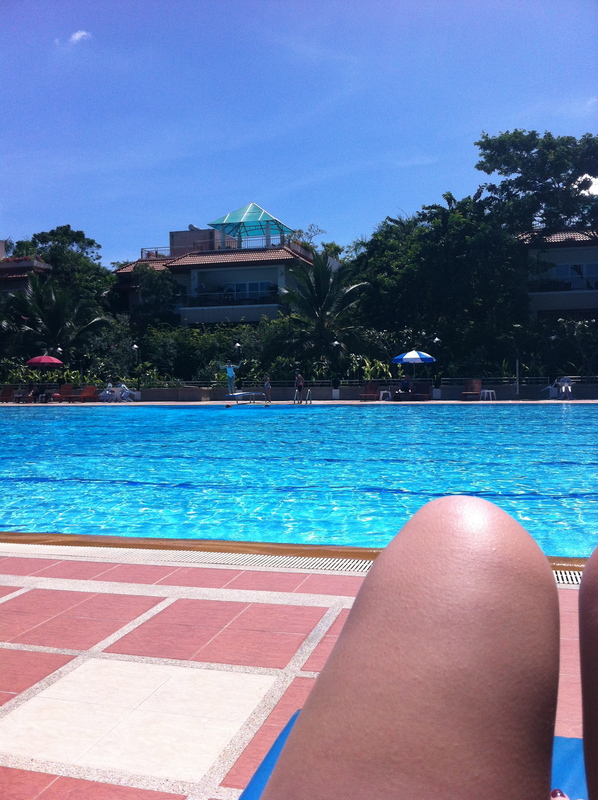 I also got some time by the pool, trying not to burn to a crisp or melt into a puddle of sweat. It may be winter soon… but it doesn’t feel like it! Then I flew back to Kunming, reenergized and ready to meet up with friends again. My friend Kate came over and we baked carrot cake cupcakes, topped with our own super creamy cream cheese icing. 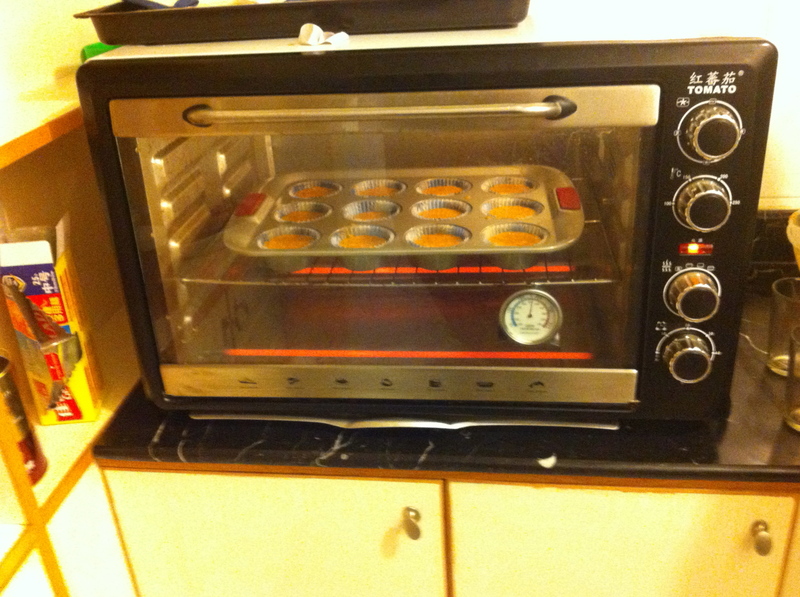 Here’s a picture of them baking in the oven. I forgot to take a picture of the finished product. (I was more interested in eating them…) We had to improvise a little because I don’t have beaters (for the icing) or a grater (for the carrots). Nothing a little elbow grease and some kitchen ingenuity can’t fix!